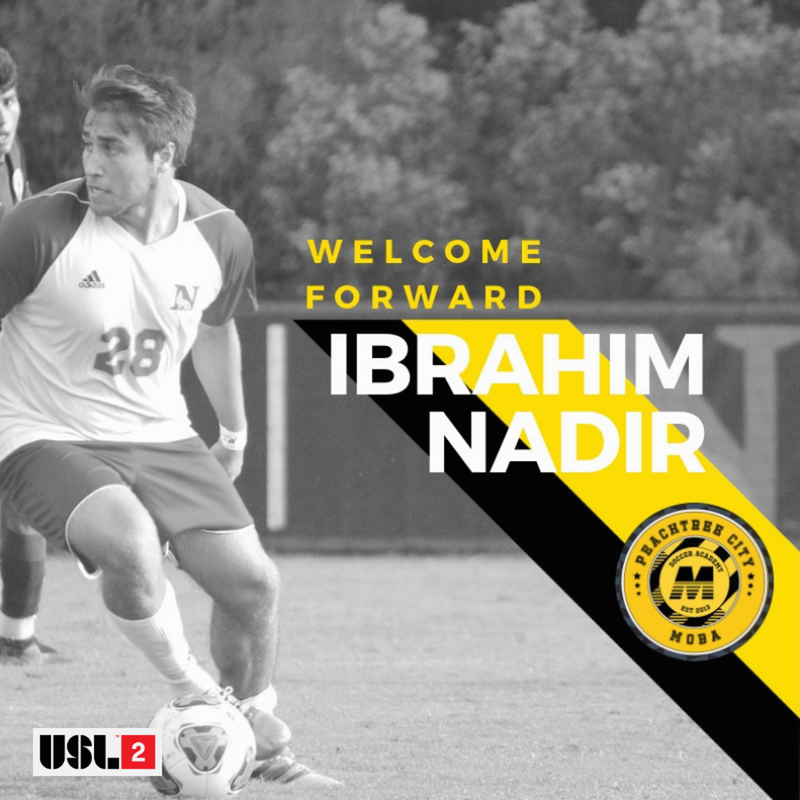 Peachtree City MOBA USL-2 (formerly PDL) Team is excited to announce the signing of Ibrahim Nadir to our 2019 Roster! Ibrahim Nadir, a forward from Willich, Germany joins Peachtree City MOBA after completing his first-year at Newberry College in Newberry, SC. In his first year at Newberry he started 16 of his 17 games scoring five goals and adding three assists. He was named to SAC All-Conference Honorable Mention team. Nadir’s previous playing career was with DSC 99 Dusseldorf in the German Oberliga- the 5th highest tier in the German soccer league system. He led the league in assists and was a leading scorer and helped the team ascend to the youth Bundesliga in the U-19 league.